Nicholas Folland transforms the everyday, the overlooked and the no longer fashionable. Using domestic crystalware, repurposed taxidermy, ice and other wonders, he makes material metaphors that speak to our history and identity. This book explores Nicholas Folland's work through a collection of illustrated essays that encompass the artist's captivating family history and abiding interest in extreme climates and narratives of ill-fated exploration. The essays are illuminated by brief accounts of curiosity and adventure - from making boats in bottles to snippets cut from art history. As well as images of the artist's own work, Nicholas Folland also reproduces works of art from the Art Gallery of South Australia's collection that invigorate a visual conversation with his work. 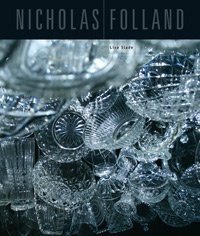 This alluring book is the first major publication devoted to the work and world of Nicholas Folland.